A ballet dancer befriends a mysterious man who hides himself from the world—his secrets and that of the plantation where he resides, punctuate a story brimming with magic, love and heartache. Clara Campbell moves to New Orleans to pursue her aspirations as a ballet dancer, and despite feeling homesick, is entranced with the magic and myth of New Orleans. One story immediately captivates her… the tragic tale of love at Windisle Plantation. Legend says a wish may come true if you slip a note through the weeping wall, but instead she finds a man behind the stone façade—a scarred man who’s not left the grounds in many years. Jonah Chamberlain pays his penance in the dark, hidden from a world that would recoil at his appearance, a world to which he had done irreparable harm. Ruined and ashamed, he never expected to befriend a girl across the wall, who week after week speaks to him through cracks in the rocky façade. Through their conversations, the true story of Windisle comes to light. But to Clara, the story doesn’t ring completely true, there seems to be more than meets the eye. Propelled by her intensifying interest in a tragic love story from the past, as well as her deepening feelings for the mystery man, Clara is swept away into a tale of her own making… one likely to end in heartbreak. Unraveling in both past and present narratives, and penned in her emotive style, Mia Sheridan draws us into a story that feels wholly enchanting. It has a modern-day Beauty & the Beast/Phantom of the Opera sentiment that adds to the allure and pull of the narrative. At its core, however, the story explores the connection between two lonely people who find solace in each other. Clara becomes a lifeline for Jonah, who has forsaken all hope, who feels underserving to even dream it. And with Jonah, Clara has found a beauty and love she never expected. 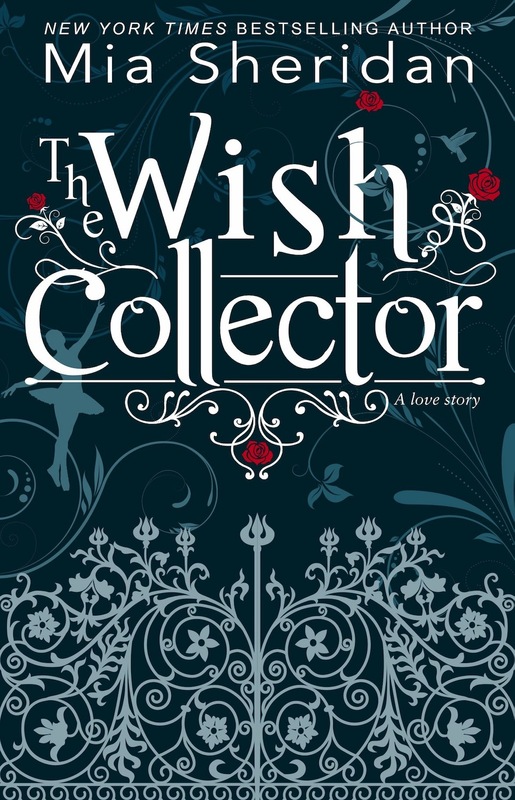 THE WISH COLLECTOR is an evocative story of forgiveness and redemption, of love lost and love found, of friendship and hope under dim circumstances.